Poecilia sp Common name endler guppy. They only grow to about 2.5 cm / 1 inch fully grown. They live in water parameters of PH range of 6.5-8.0 and temperatures of 19-28 Celsius / 66-82 °F. The endler guppy is a very small type of guppy. The males are extremely colourful with a mixture of green, orange and red colours, and the females are mainly all silver. They are peaceful and can mix with small community fish. As they stay so small they can easily be eaten by bigger fish. The endler guppy is best kept in groups as they can be very shy on there own. They require a mixture of foods colour enhancing foods is one of the best things to keep there colour bright. They also like algae based foods, and freeze dried, frozen or live foods. 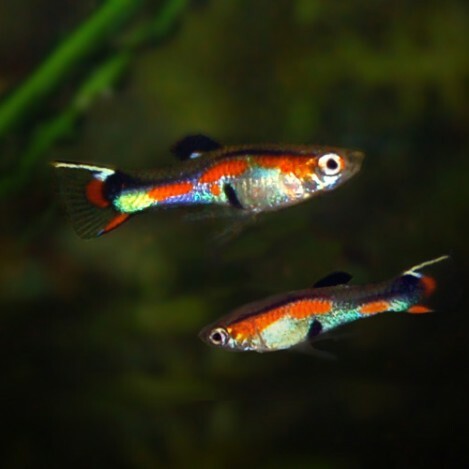 Endler guppies are tiny little fish they only require small size foods. 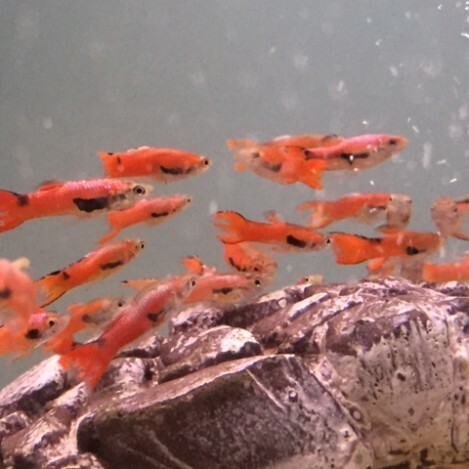 A colour enhancing food is good to feed the endler guppy to keep there colours lovely and bright. Also live and frozen foods are good to feed them to. 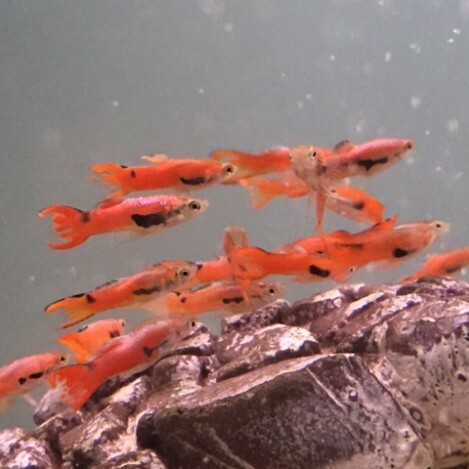 Endler guppies only need a small amount of food once a day at the most.